A flannel shirt, jeans and socks. Toaster strudels, Goldfish and chicken. Coffee, tea, and Cherry Cranberry juice. 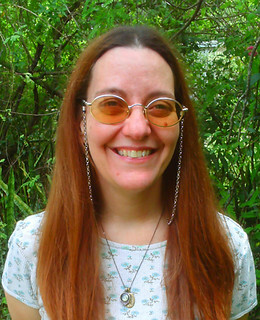 Elric of Melniboné by Michael Moorcock, The Mabinogion, and right now I’m enjoying Shadows of Serenity by Marsha A. Moore. Oh, another tough question! If you twisted my arm, I’d have to go with Excalibur, then the Lord of the Rings movies (Yes, I realize that’s cheating!) and The Time of Their Lives. A good book, these days, my cell phone, and a notebook. I wrote a lot of my latest book Changeling’s Crown in a notebook. Of course, it then needs to be typed into the computer but hey, handwriting my work as much as I can cuts down on wrist strain. Of all time or right now? Right Now: Gilmore Girls, Once Upon a Time, and Sleepy Hollow. Of all time: Star Trek would have to replace one of them. A lot of the stuff I used to watch as a kid doesn’t hold up anymore, but Star Trek isn’t one of them. Florence, Italy, Rome, Italy, and Ireland. The next book release, a visit with my family, and Christmas. Two of my friends and fellow writers (Patty G. Henderson and Marsha A. Moore) and my mother. I’ve worked in a library, and for a P.E. department, and I’ve written book reviews. Bugs Bunny, King Arthur and my family. Chick Fil A, Pizza Hut, and a little local coffee shop. Pepperoni, Black olives and of course cheese. A Pen, a notebook, and I have to have a jacket or flannel shirt at hand. I get cold fast. I make coffee! Check my notes from the previous night or make any I’ve dreamed up, and yoga (though I don’t do it every morning as I should). Thanks for having me here today, Michelle! Thank you for having me this week, Michelle! It was nice to be here, and nice to meet you. 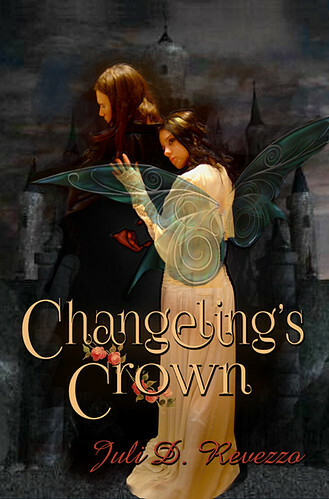 I hope your readers will enjoy Changeling’s Crown.